This is a whole ammonite that has been polished and has gorgeous coloring and patterns. STOCK PHOTO. 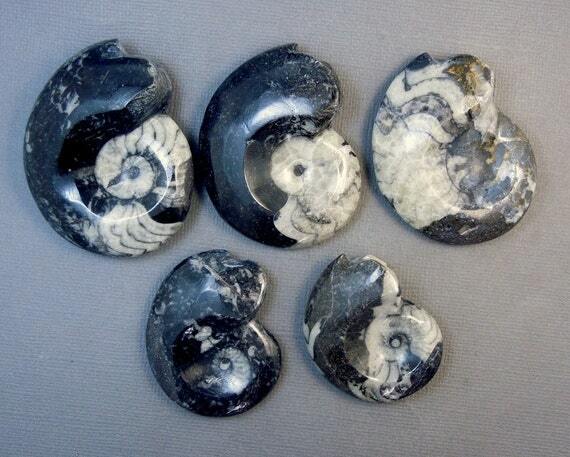 Each ammonite will vary slightly in size and in characteristics. Amazing piece has hues or dark brown, black and white.